The UK Government has announced it will invest £120,000 in promoting and developing the Cornish language (Kernewek) over the next couple of years. 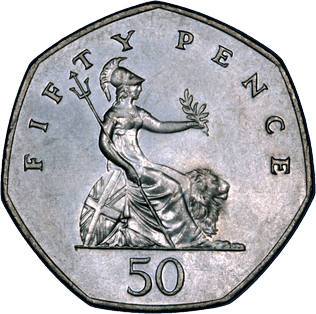 This is of course less that 50p of the tax money of each Cornish person, thus only given back to them to aid their resurgent indigenous national language – but at least an investment is being made. The funding, announced by UK Deputy Prime Minister Nick Clegg, will sit alongside a larger amount of money from local sources, Cornwall Council, through the Cornish Language Partnership. The announcement comes after campaigning from Cornwall Lib Dem MPs Dan Rogerson, Andrew George and Stephen Gilbert, to continue to provide support for MAGA, the Cornish Language Partnership. “Cornish is central to Cornwall’s heritage and a living and growing language is part of what makes the region (sic) distinct. “The funding will help the Cornish Language Partnership use the language to encourage more visitors to the area by promoting this unique identity. North Cornwall MP Dan Rogerson, who speaks some Cornish, said the Liberal Democrats had worked alongside the Cornish language movement to recognise, develop and promote the Cornish language. He said: “More and more people and businesses are now using Cornish to help promote the Duchy and our excellent local producers and businesses. The Cornish Language Partnership is an amalgamation of different voluntary organisations and statutory bodies. The organisation works with schools, businesses and community groups, produces resources, oversees work on the language itself and promotes Cornish widely at home and through Europe. The partnership also supports a web-based Cornish radio service; provides translations and promotional stands at events and festivals; run language sessions to around 100 schools and organise marketing campaigns for Cornwall’s very important tourism and visitor industry. Many volunteer language groups of course continue to work for the language without any public funding, relying on private raisings and donations. Politicing again, Mr Gilbert added: ““The Liberal Democrats in Government recognise the important cultural and historical significance of Cornwall and the Cornish. “This additional funding for the Cornish language is excellent news and will help to continue to build and develop Cornwall’s cultural distinctiveness. The Department for Communities and Local Government has provided some ongoing but diminishing funding to MAGA, the Cornish Language Partnership, as part of fulfilling the Government’s responsibilities under the Charter to carry out “resolute action to promote regional or minority languages in order to safeguard them”. Mr George was the first MP to speak Cornish in Parliament, during his maiden speech in 1997, while Mr Rogerson was the first government minister to speak in Cornish from the despatch box earlier this month.